Nina Mae McGregor, 90, of Marietta, OH, passed away on Thursday, August 23, 2018 at Heartland of Marietta. She was born on November 7, 1927 in Dart, OH to the late Edward and Dorothy Eddy DePuy. Nina graduated from Lawrence High School. She was a member of Valley View Baptist Church, and worked as a cashier for Big Bear. She was a 50 plus year member of Order of Eastern Star #59 and Little Muskingum Grange #2621. She is survived by her children, Barbara Wagner (Tom) of Canal Winchester, Curtis McGregor (Ronda) of Marietta; grandchildren, Angela Moore (Ken), Tricia Fisher (Anthony) both of Canal Winchester, Mandy McKinney, Scott McGregor (Angela Thacker), Eric McGregor and Alison Woods (Jeromy) all of Marietta; seven great grandchildren, Specialist Tyler McKinney of Fort Irwin, CA, Reed and Hunter McKinney, Brody McGregor, Garrett and Seth Moore and Sawyer Woods; sister, Twila Bowersock (Bill); four sisters-in-law, Josephine Stegner, Mary Adams, Wanda DePuy and Marie McGregor. 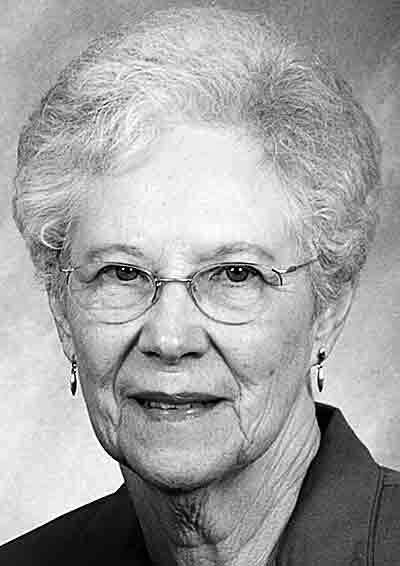 In addition to her parents, she was preceded in death by her husband of 71 years, Carroll True McGregor (12/15/2016) and a brother, Richard DePuy. Funeral services will be held at 11 AM on Saturday, August 25, 2018 at Hadley Funeral Home Reno Chapel, 1021 Pike St., Marietta, OH. Burial to follow in Moss Run Cemetery. Visitation will be held on from 4 to 8 PM on Friday, August 24, 2018 at the funeral home. In lieu of flowers, donations may be made to Valley View Baptist Church, P.O. Box 309, Reno, OH 45773.